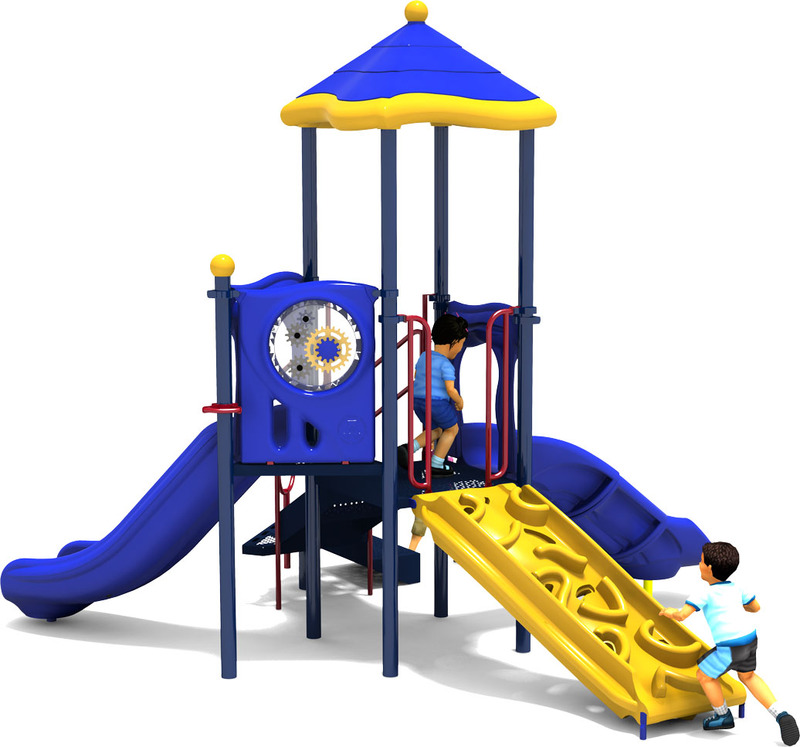 The Prim 'n Proper commercial play structure offers 5 play components and can accommodate up to 20 of your little angels! 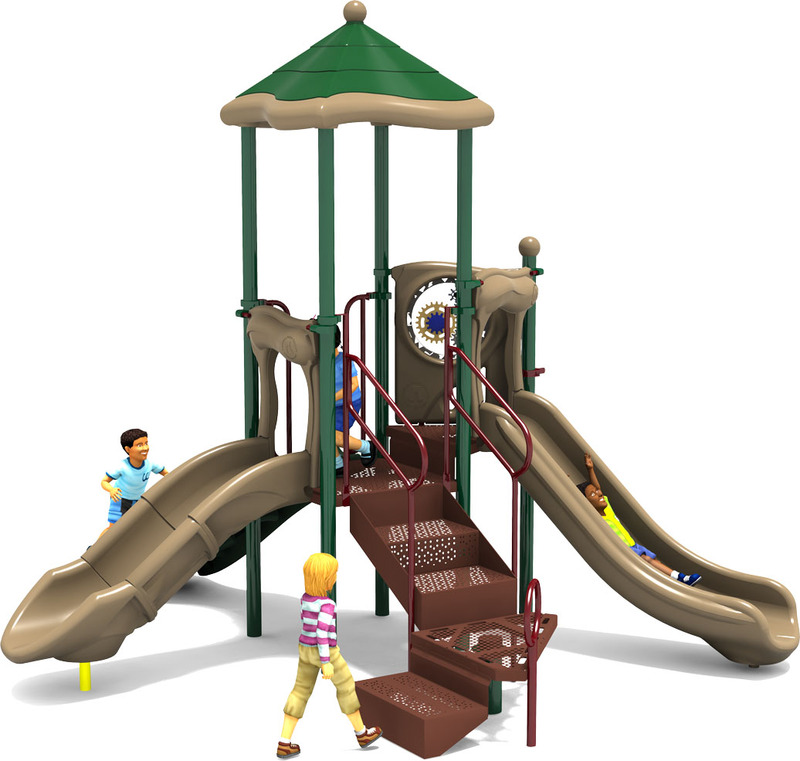 Prim 'n Proper features an apex climber as well as two slides, a roof and learning activity panels. Kids will be able to build their strength and imagination while interacting with other children. 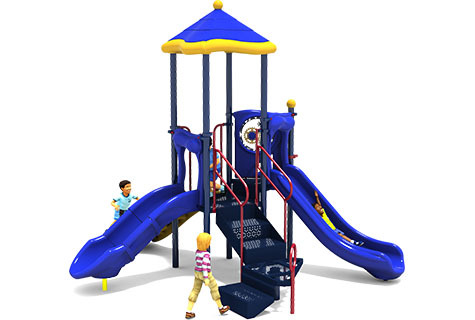 The large foot price and low price point makes this piece of playground equipment a very popular with faith based organizations and daycare facilities. 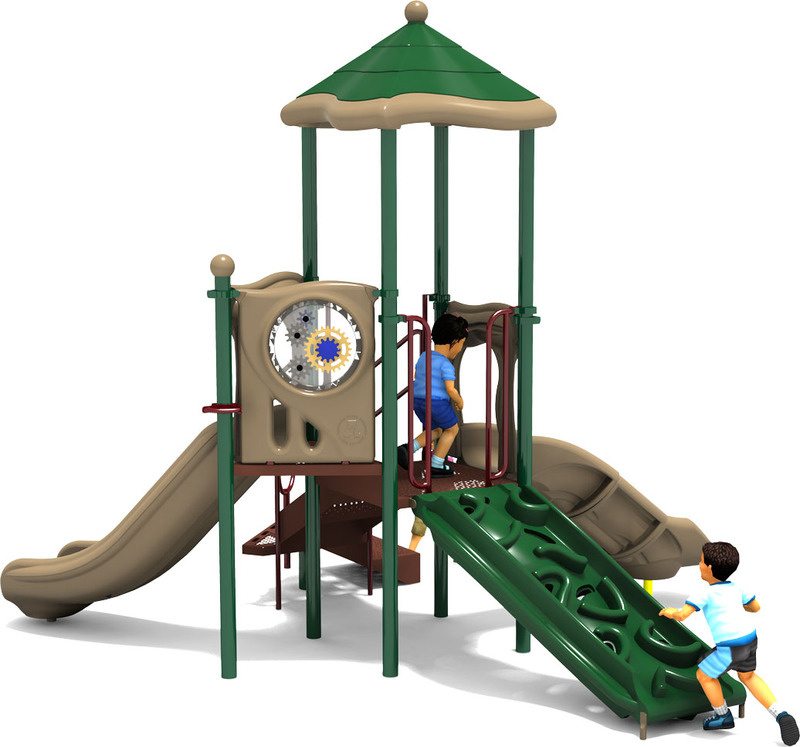 The posts are 3.5" in diameter, 12 gauge galvanized aluminum, powder coated for a superior high gloss finish, and backed by a limited lifetime warranty. 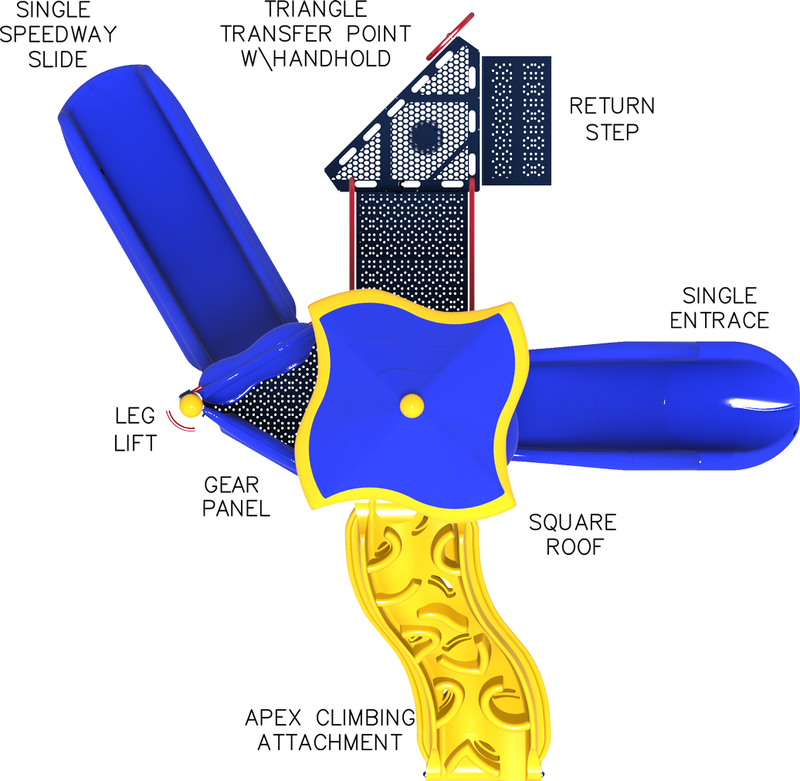 2 Slides, 1 Climber, 1 Gear Panel, And More!